On 2 November 2015, The Holy Crab Indonesia is launching a few new creations. This time The Holy Crab has explored a few local Indonesian flavors to be adopted into its Louisiana Seafood concept. It has created its own version of two traditional and tasty sauces namely Bumbu Genep and Sambal Matah to provide customers with a memorable Lousiana Seafood experience with a local twist. These new sauces are available at The Holy Crab Gunawarman, The Holy Crab Bali, and The Holy Crab Shack Flavor Bliss. Together with the launch of these new sauces, The Holy Crab is also adding the River Prawn and Blue Crab into its seafood selections. Sourced from Indonesian waters, the Blue Crab distinguishes itself from the mud crab through its color. The shell is bluish in color with white patches. The crab meat is soft and dense; high in protein and low in fat. As for the River Prawn, it is sourced from Sumatera and Kalimantan. The size is much larger than regular prawns and its meat naturally has sweet and savory taste. Customers can choose to enjoy the Blue Crab or River Prawn with a choice of 2 Balinese sauces; Bumbu Genep or Sambal Matah. Bumbu Genep combines 12 different spices, whereas Sambal Matah uses Red Onion and Cayenne Pepper as the main ingredients along with 4 other ingredients. Both sauces are formulated by Albert Wijaya, the owner and Executive Chef of Ersons Food. "These new sauces are inspired by the exotic Balinese flavors; Bumbu Genep and Sambal Matah which are favored by local residents and foreign tourists. 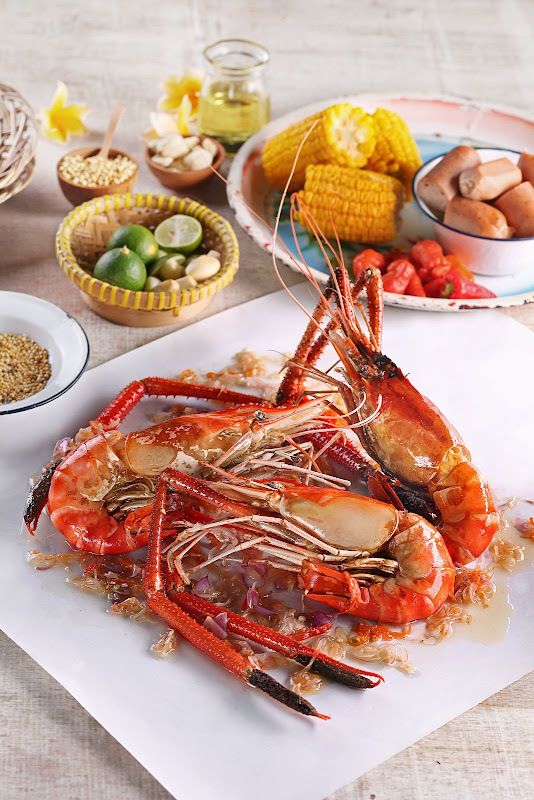 Normally, these flavors are paired with chicken dishes, but now The Holy Crab is offering customers to taste the combination of these Balinese flavors and The Holy Crab’s premium seafood selection, “explains Albert Wijaya. 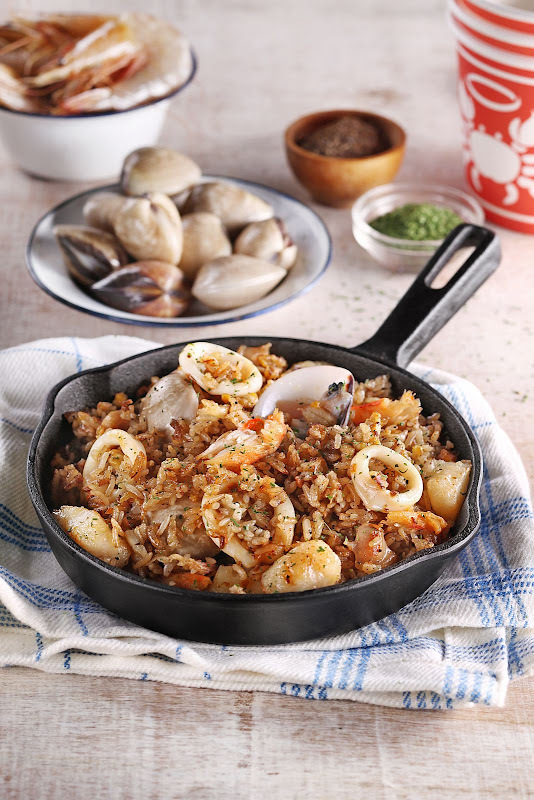 In early November 2015, The Holy Crab will also launch a new range of Louisiana-style dishes, such as the Mixed Seafood Dirty Rice, Jambalaya and Creole Rice to be served in its lunch menu. This new lunch menu is a way for The Holy Crab to bring in more of Louisiana flavors into Indonesia. Rolls - Shrimp or Crab sandwich served with soup and Cajun Fries. Mixed Seafood Dirty Rice - Traditional Cajun dish made from white rice cooked with chicken liver slices and mixed seafood. Jambalaya - Louisana Style Dish made from rice, seafood, tomato and spices. These new dishes’ price range between Rp 55.000 – 145.000 and will be served exclusively for lunch from Friday to Sunday. 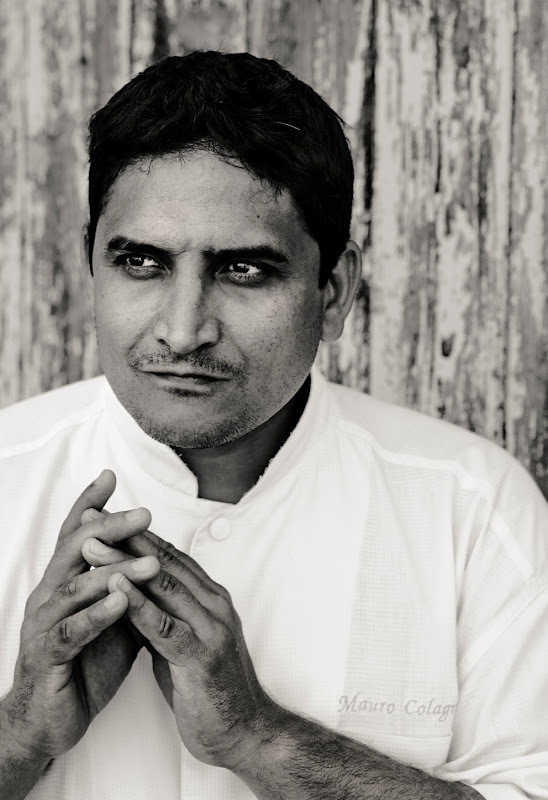 On 27 November 2015, Alila Villas Soori presents a spectacular evening of gastronomy crafted by one of the most celebrated and innovative stars of the culinary world, Mauro Colagreco, head chef of two-Michelin-starred Mirazur restaurant in Menton, France sits on the 11th place at San Pallegrino’s World’s 50 Best Restaurants http://www.theworlds50best.com. An Argentinian born of Italian and Spanish descent, Mauro perfected his craft under the talented Bernard Loiseau at La Côte d'Or in Saulieu, and Alain Passard at L'Arpège in Paris, where he developed his strong sense of creativity. In 2006, he took over the Mirazur restaurant, located on the Côte d’Azur overlooking the Mediterranean. Chef Mauro and Mirazur have since earned much international acclaim. Mirazur was awarded its first Michelin star within a year of opening, to be followed by a second Michelin star in 2012, making Mauro the first and only Argentinian chef to achieve this honour. Mirazur has also been a permanent fixture in the annual San Pellegrino’s World’s 50 Best Restaurants list since 2008. In another first, Mauro was named ‘Chef of the Year’ by the French guide Gault Millau in 2009, becoming the first non-French chef to be given the title. He went on to be awarded four Chef Hats by the same guide in 2010, and in 2012, received the prestigious Order of Arts and Letters by the French Minister of Culture for his contributions to French culinary culture. Mauro’s food philosophy is focused on freshness and simplicity, allowing the quality and flavour of the produce to shine. With the Italian border located just steps from Mirazur, Mauro has the pick of fresh produce from both the coastal markets on the Italian side and the Cote d’Azur on the French side, deftly combining these with vegetables and herbs grown in the restaurant’s gardens. Mauro’s menus however know no boundaries, offering a beautiful marriage of flavours that represent the very best of both locales, with influences from his Argentinian roots and travels around the world. His food is freedom of expression on a plate, crafted with innovation and a healthy dose of wild imagination ­– delighting diners with an experience that is both visually and tastefully exquisite. Nusa Dua, Bali, 18th August 2015… The Westin Resort Nusa Dua, Bali is delighted to announce that this year’s UNICEF Check Out For Children charity event will take place on Friday, 16th October 2015 at one of the island’s biggest venues, Mangupura Hall. It promises to be yet another great evening of feel-good music featuring Indonesian stars, Citra Scholastika and Bastian Steel. Known for her distinctive jazzy vocal, Citra Scholastika was the youngest finalist to compete in Indonesian Idol Season Six. She started singing from an early age and gained stage confidence by participating in church talent contents. Citra has since risen to fame with a string of hits including the popular Everybody Knew, which top the chart for many weeks in Indonesia. Her soulful cover of the classic song, Somewhere Over the Rainbow widened her appeal to mature audiences. With his curly hair and cheeky personality, 15 year old Bastian Steel continues to wow fans as a singer, presenter and actor. Before embarking on a solo career, the multi-talented teen was a member of leading Indonesian boy band, Coboy Junior. Bastian has appeared at events across Asia and his fun singing style includes pop, hip hop and reggae. Both artists will take to the stage for an uplifting concert that is expected to appeal to music lovers of ages. It will commence at 7pm with a succession of solo performances by Citra and Bastian. There will also be a heartfelt collaboration with children choir from Bali’s leading music school. Tickets for this annual charity event are priced at just IDR 150,000 per person. All proceeds will be donated directly to UNICEF for a project that provides educational opportunities and vaccinates children across the Asia Pacific region. For the past 20 years Starwood Hotels and Resorts has partnered with UNICEF to raise funds for a number of worthy causes that benefit impoverished children around the world. In the Asia Pacific region alone, the UNICEF Check Out For Children Program has supported the immunization of thousands of young women and children against a number of preventable diseases.